Manila, Philippines - Filipino pride Michael Martinez finished at 19th place out of 24 skaters at the men's Figure Skating event at the 2014 Winter Olympics in Sochi, Russia on Saturday morning, February 15. 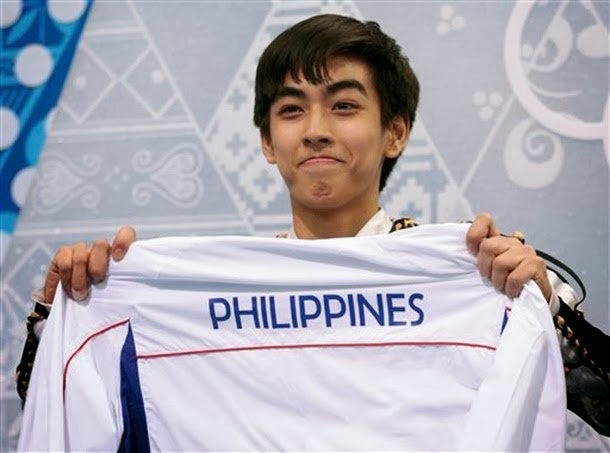 17-year old Martinez, the only athlete that represented the Philippines at the 2014 Winter Olympics garnered a total score of 184.25 points. Though it's a dream for every Filipino to have him qualify and win in the Winter Olympics, Martinez still gave honor for his home country. In an interview, Michael Martinez told News5, the official online media partner for Sochi Olympics in the Philippines, the athlete said he is very grateful for the support he is receiving now. "Sobrang saya, sobrang nakakataba ng puso, thankful na continous pa rin ang support and prayers nila sa akin." Japanese skater Yuzuru Hanyu received the gold medal, while Patrick Chan of Canada won the silver, and Kazakhstan's Denis Ten got the bronze. There are 88 countries which participated in the 2014 Winter Olympics in Sochi. Martinez was able to qualify for Olympic figure skating finals after giving performance of his life with an impressive skate in group 1 of the short program to the tune of Romeo & Juliet by Arthur Fielder on Thursday, February 13. The figure skater from Muntinlupa caught the attention of International media after his journey to Sochi was revealed on major websites and blogs in the country. "Michael Christian Martinez, the lone athlete for the Philippines, is an unlikely competitor from a country without snow. ", CNN said on their website. Ice skating is a costly endeavor with expenses for travel, equipments and coaches. Financial aid for Martinez was questioned and became hot topic online in the past days as some reports say that the government neglected financial needs of the lone Filipino figure skater. But Ricardo Garcia, chairman of the Philippine Sports Commission, said Martinez had received adequate financial support from the government and private donors. “We are very happy with his performance. For a guy who learned how to skate in the Philippines, to make it to the finals… it is really amazing,” Garcia told AFP. Meanwhile, Michael Martinez mother wrote to CNN: "Now that he qualified, we are hoping we can finally get support so he can continue, and try to qualify again in 2018, where he will be more matured and more ready physically and mentally." Martinez began skating in 2005 at the SM Southmall ice rink. Martinez debuted on the Junior Grand Prix series in the 2010–2011 season. He placed fifth at the 2013 World Junior Championships and has won two senior international medals. 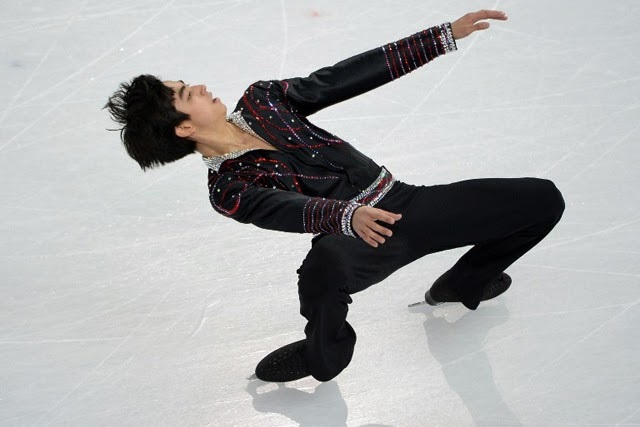 Martinez is the first skater from Southeast Asia to qualify for the Winter Olympics. Martinez began experiencing asthmatic bronchitis at two months old and was frequently in the hospital. Although the cold rink initially had a detrimental effect, he stated in 2014, "year after year my health keeps improving, so my mother fully supported me to continue skating. She said it's better to spend the money on skating than in the hospital.